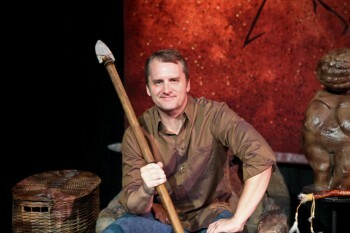 John has been acting professionally since 2003 when he appeared in a production of “A Funny Thing Happened on the Way to the Forum” at the Flower Mound Performing Arts Theatre in suburban Dallas… and he was hooked. He has, since then, worked at several Dallas/Fort Worth theatres including Contemporary Theatre of Dallas, WaterTower Theatre, Circle Theatre, Theater Three, One Thirty Productions, Uptown Players, Lyric Stage, Plano Rep, Garland Civic Theatre, and the aforementioned FMPAT. Some favorite roles include Geoffrey in “The Sisters Rosensweig”, Andy Gorski in “Greetings”, Corky in “Luann Hampton”, Charles in “Blithe Spirit”, and numerous characters in “A Lone Star Christmas Carol”. He has been nominated for several theatre awards in DFW and actually won a couple of them. John has also appeared in an episode of “Friday Night Lights”, several short films, and has been a shill in several regional/national commercials. In addition to acting, John also writes, produces, and directs short films, web series, and even has a feature film, “Karma Police”, under his belt. John has lived in Texas his entire life having been a class clown at South Garland High School and University of North Texas where he earned a BFA in Advertising Art. He’s continued his education studying the Meisner technique with Terry Martin. He is represented by Suzanne and Gillian at The Horne Agency in Dallas, Texas.